Step 1. Fill bottom of the box with paper shreds. Step 2. 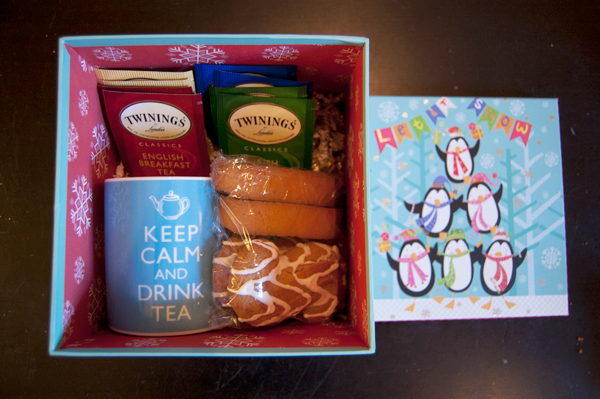 Arrange your mug and teas into box. Step 3. Wrap your cookies and biscottis in saran wrap to keep them fresh. I had did two of each kind of cookies. Step 4. Place cookies into box. Step 5. Close the lip. Instead of using the twin to go all the way over the box twice I made it long enough to go over the box once and then over the top to tie the Christmas tag in place. 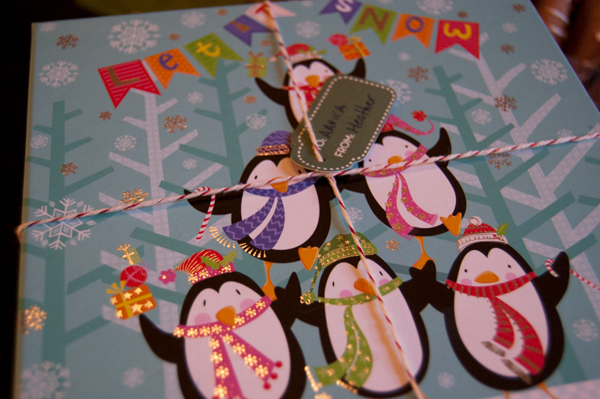 Then I was able to tape the twine to the bottom of the box. 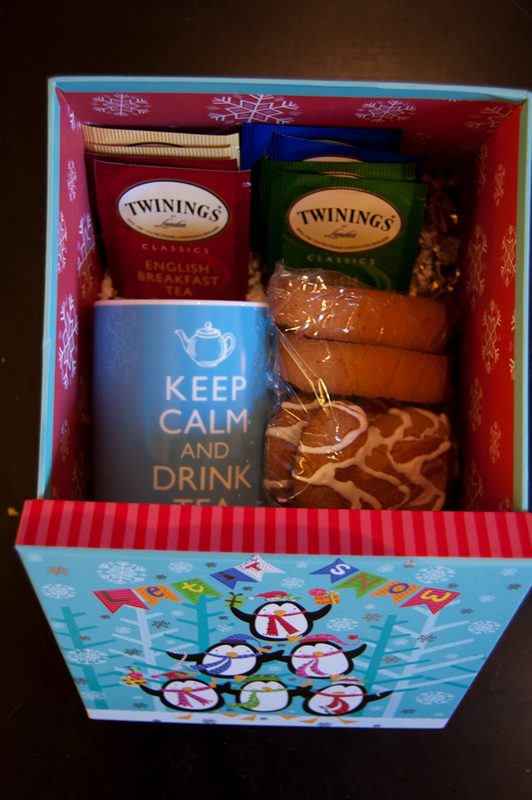 This the perfect little gift to give someone that you know is a tea drinker. 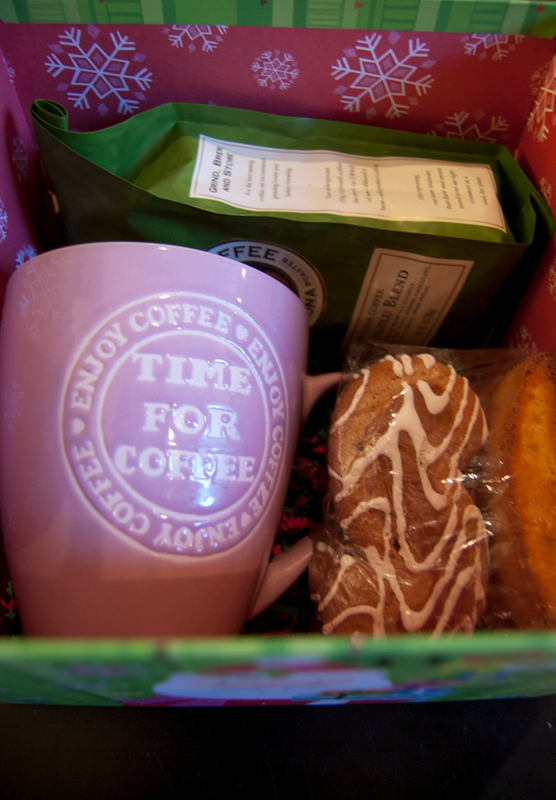 You can personalize it with candy that you know they like or even a funny little mug that they will appreciate. You can even do loose teas and put in a tea infuser. Since I was making multiple ones of these I found it easier to just keep it simple. Know a coffee drinker? This is perfect for the caffeine addicted. If you know they use K-Cups buy a variety pack or if you know their favorite coffee buy them a bag of that. 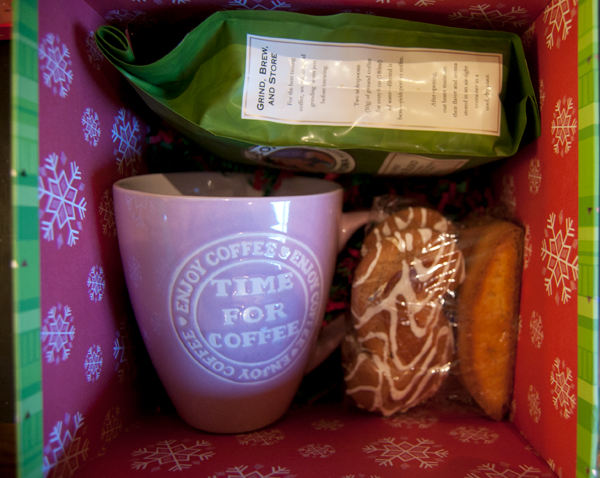 You can even add in a french press or a giftcard to Starbucks (or any other coffee shop that they like). Are you doing any DIY Christmas gifts this year? Really great ideas!! So cute! !